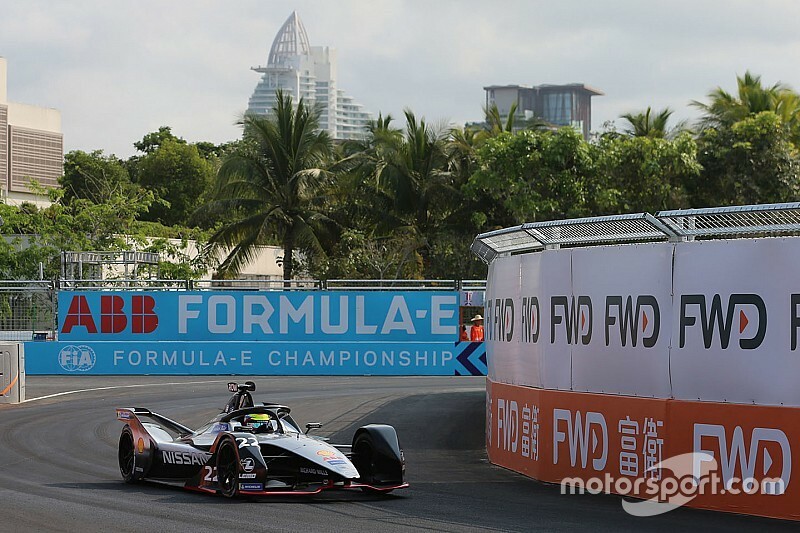 Nissan e.dams driver Oliver Rowland will start on pole position for ABB FIA Formula E’s first race at Sanya ahead of reigning champion Jean-Eric Vergne. Rowland and DS Techeetah’s Vergne both made it through to the Super Pole session from the third group qualifying selection, along with practice pacesetter Sebastien Buemi (Nissan) and Alexander Sims (BMW). On his Super Pole lap, Rowland made the difference to Vergne in the second sector, before wrestling his car through the fast Turn 10 right-hander, nearly clipping the wall on the exit. 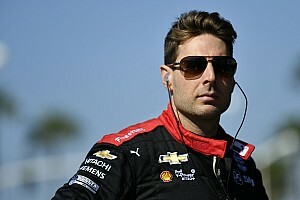 He held on to set a best time of 1m07.945s, which was 0.1s faster than Vergne, who was delighted to take his first row start since the second round of the season in Marrakesh. 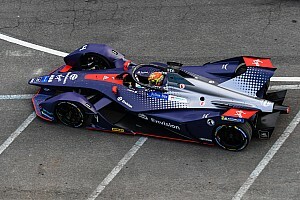 But Buemi, who ended up fastest in the group running, and Sims will only start fifth and sixth after the former crashed on his Super Pole lap and the latter could not take part due to a suspected gear selection issue. Buemi’s incident looked very similar to a crash he had in FP2, where he went nose first into the Turn 3 barrier, where the attack mode activation is located for the race. He was able to reverse away and ended up over 25-seconds off the pace in Super Pole, but will start ahead of Sims because he completed the lap. 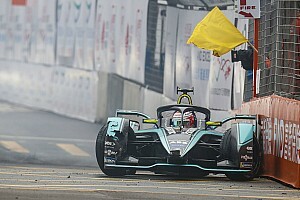 Antonio Felix da Costa (BMW) and Daniel Abt (Audi) were the other Super Pole runners, and they ended up third and fourth, with da Costa losing time with a wild slide at the final corner on his flying lap. Andre Lotterer will start seventh for Techeetah, ahead of Jerome d’Ambrosio, who ended up as the second highest group one runner behind da Costa for Mahindra Racing. Pascal Wehrlein qualified ninth behind his Mahindra teammate, with Lucas di Grassi rounding out the top 10 for Audi after failing to make it out of group one. 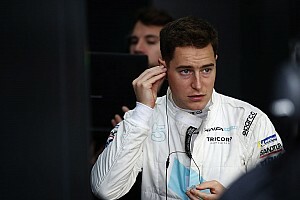 Hong Kong winner – and group one runner – Edoardo Mortara qualified 11th, just ahead of Robin Frijns (Envision Virgin Racing) and HWA driver Stoffel Vandoorne. Jose Maria Lopez and a Felipe Massa will start 14th and 15th, with current championship leader Sam Bird starting in P16 after he ended up as the slowest runner in group one, having been the first driver to take to the track in that segment. Tom Dillmann, Felipe Nasr and Oliver Turvey will line up in positions P17-19. Jaguar duo Mitch Evans and Nelson Piquet Jr will start 20th and 22nd, split by HWA’s Gary Paffett, who went very deep at the Turn 8 hairpin and lost significant time in group four. Evans struck the wall on the inside of the fast right of Turn 5, tearing off a strip of advertising branding as he did so, which got stuck to the right-hand side of his car and trailed behind as he completed his group two lap. Piquet was a second adrift of the top spot at the end of sector one on his 250kW run in group four and qualified last after losing more time at Turn 8.